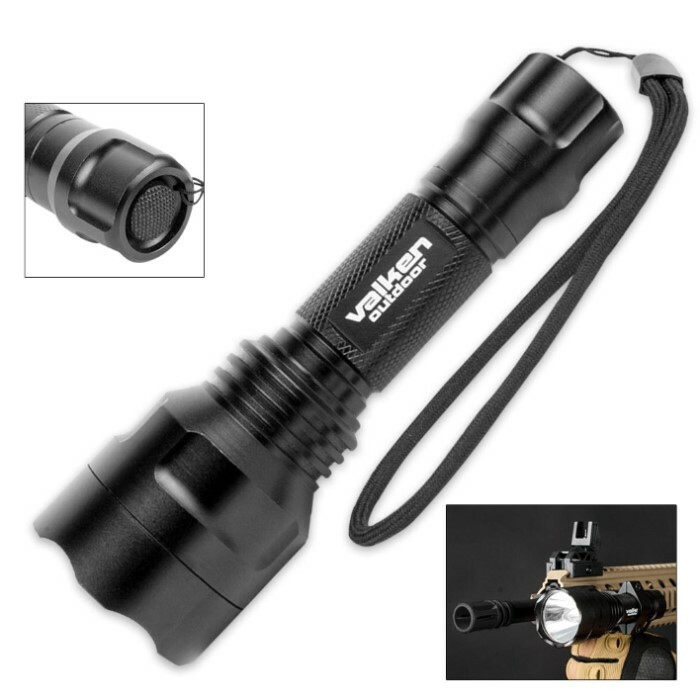 Valken V-Tactical 150-Lumen LED Flashlight / Picatinny Gun Mount Kit | BUDK.com - Knives & Swords At The Lowest Prices! Both a powerful hand-held flashlight and a handy marker accessory, Valken's V-Tactical LED Flashlight / Mount / Remote Kit is an extraordinary value, regardless of how you use it. 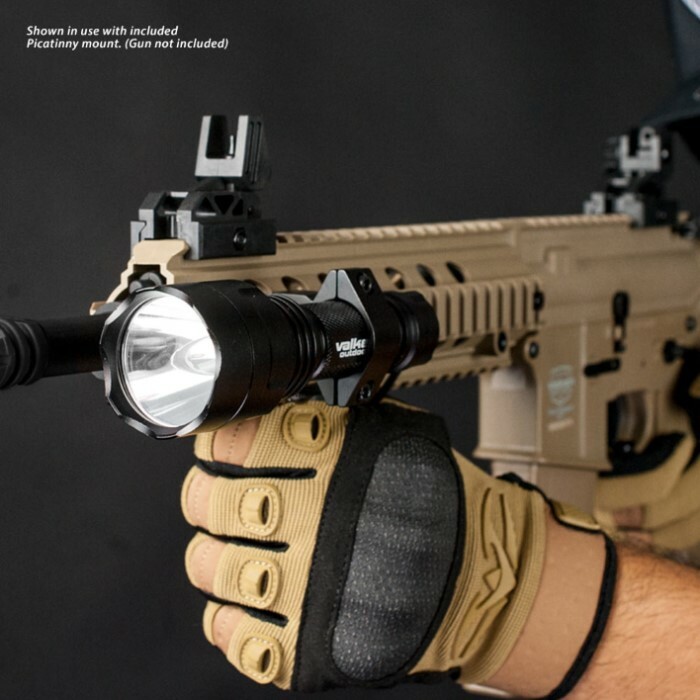 Mounted to an airsoft or paintball gun the flashlight's ultrabright 150-lumen beam is great for blinding opponents or lighting your way to victory. The strobe feature is especially effective at disorienting foes, and 25 percent and 50 percent modes provide a softer, less intense glow that's discreet and ideal for maintaining stealth. Activate the different modes via the user-selectable rear control cap or using the handy coiled cable remote. The mount is designed to fit standard Picatinny rails and installs quickly and easily. 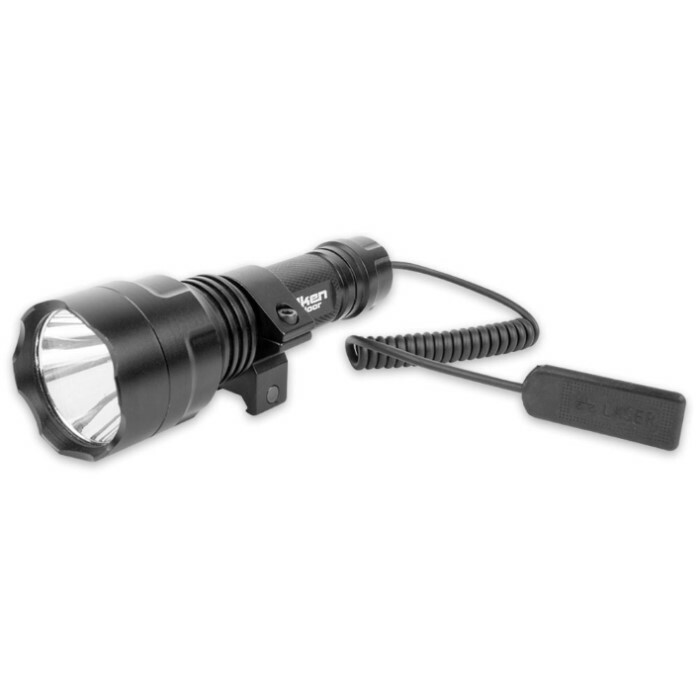 Compact and lightweight, the flashlight won't impede your line-of-sight or consume excessive space on your rig. Its aluminum alloy construction is water and impact resistant - more than capable of standing up to vigorous use and harsh field conditions. Incredibly efficient, the rechargeable battery (included with charger) provides hours of intense bright light. Ships with flashlight, mount, remote, battery and charger for extreme fun right out of the box!